If you’d like to start the process of funding your therapy through your private health insurance policy contact me on info@thepracticelondon.org or call 07710 511 517 and I’ll be glad to help you out. How do I get my insurance to pay for my sessions? Does my policy cover counselling / psychotherapy? How many sessions can be funded by my insurance? Do I need to give you the provider number of my therapist? Is there any excess on my policy (if so, how much)? If there is an excess on your policy, this usually means that you will need to pay for the initial fees, up to the total of the excess. After that, the remaining fees should be paid by your insurer. The Practice usually invoices your insurer directly for the session fees. So ordinarily, you will not be required to pay and then reclaim. But different insurance companies and different types of policy can vary, so it is a good idea that you ask the questions above, so you are completely clear about the cover that is available to you. You will need to give The Practice your authorisation number for counselling. 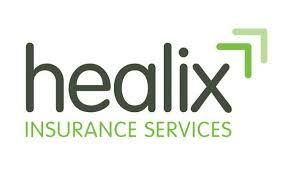 This is what enables The Practice to invoice your insurer. You will also need to give your full name, your insurance company name, your policy number, the authorisation code, as well as your home address and date of birth. This information ensures that invoices are processed correctly.